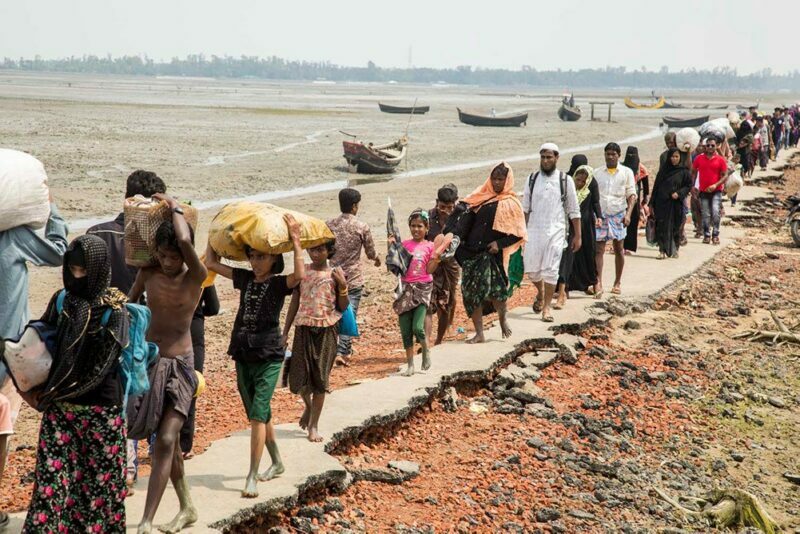 the Rohingya exodus to Bangladesh has become the one of the most acute refugee emergencies for WFP. 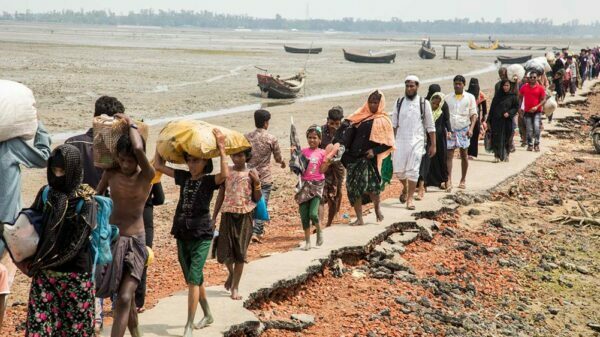 More than a year after the crisis began, hundreds of thousands of Rohingya are still unable to return to their homes in Myanmar. Hundreds more arrive every week. Monsoon season begins, bringing torrential rain and the constant threat of landslides and flooding. Preparations to fortify the camp begin in anticipation of the annual monsoon season, which threatens the camp's fragile infrastructure. 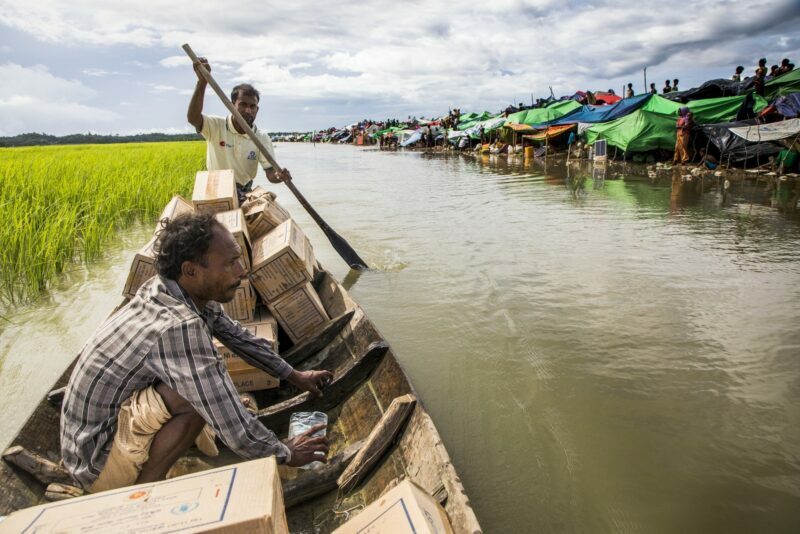 WFP launches its e-card program, giving Rohingya refugees the ability to buy fresh produce, protein, and grains. 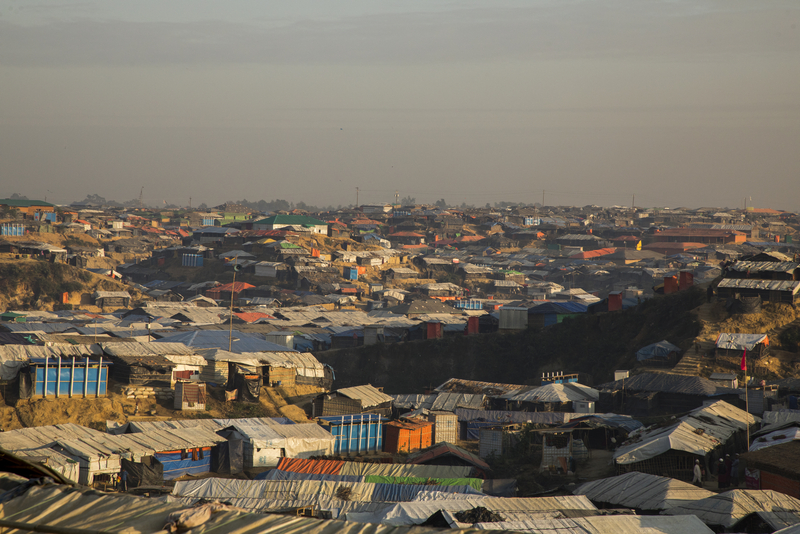 The Kutupalong camp in Cox's Bazar becomes the largest refugee camp in the world, host to more than 900,000 Rohingya refugees. Tens of thousands of Rohingya refugees get stuck in no man's land at the border of Bangladesh and Myanmar. 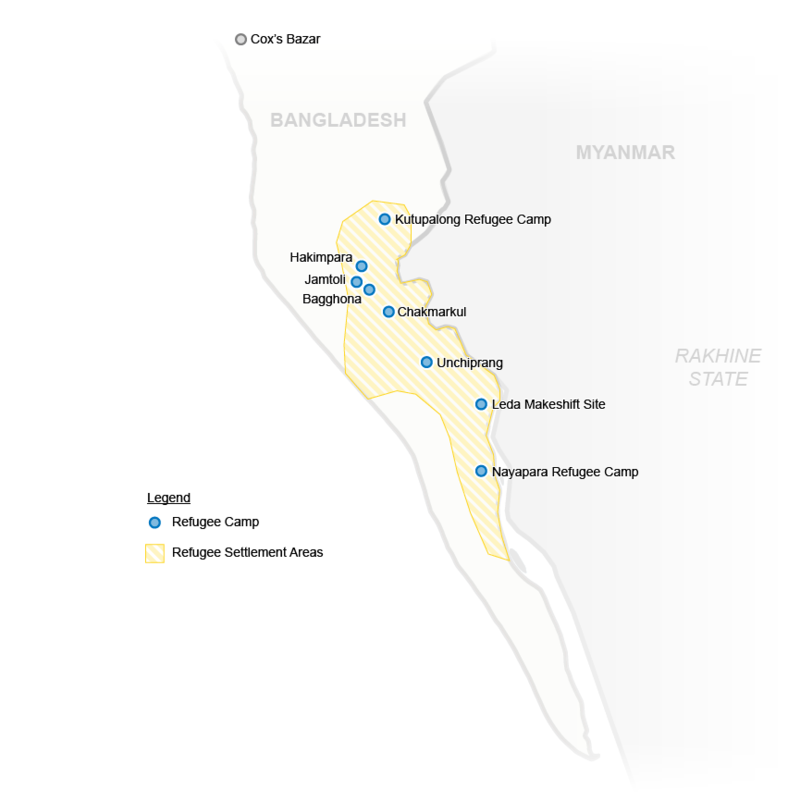 The exodus of the Rohingya begins as they flee violence in Western Myanmar. 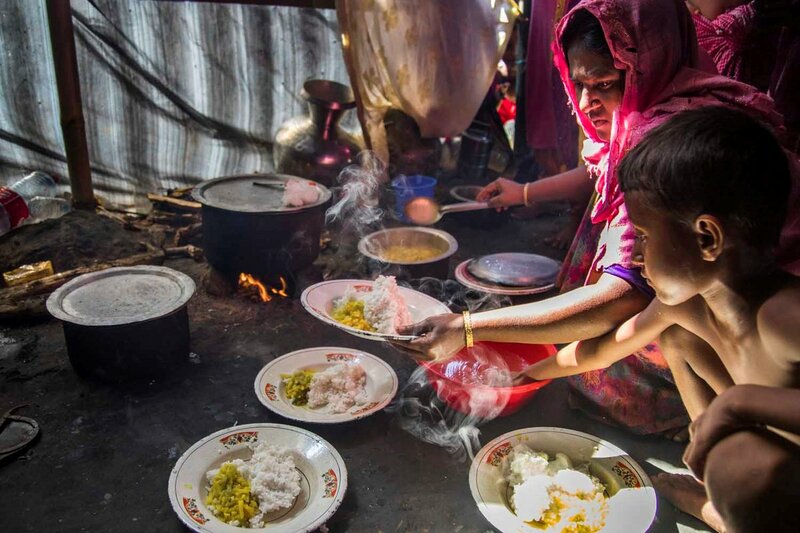 More than 90% of the refugees in Cox’s Bazar rely on WFP for their basic needs. 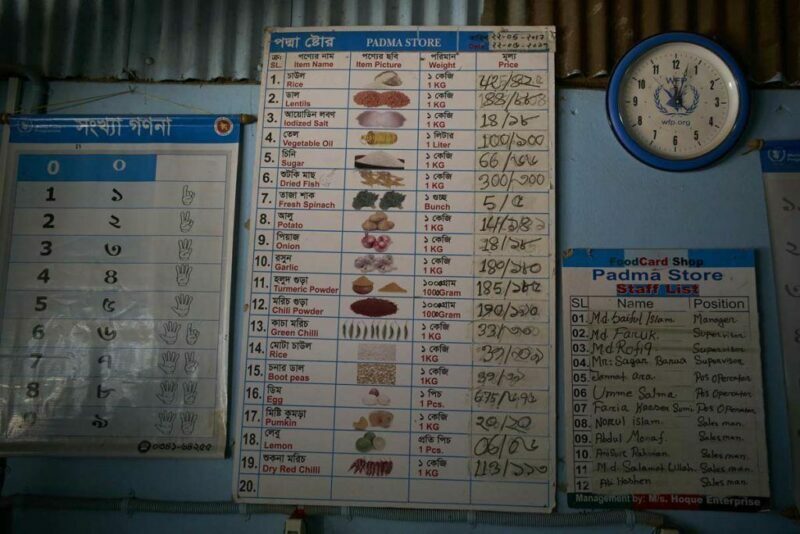 WFP uses smart, innovative solutions to feed Rohingya refugees in Bangladesh. These innovations include e-cards, SCOPE registration, high-energy biscuits and drones. E-cards give refugees the power to purchase food on their own terms. 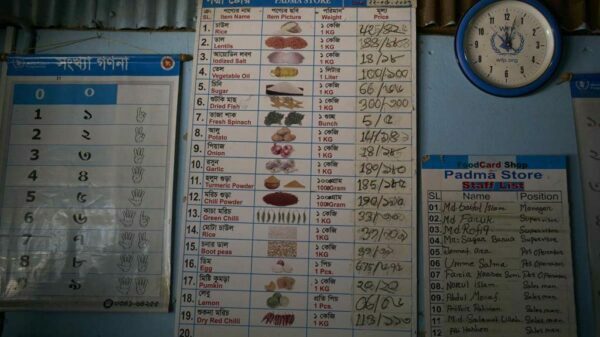 Like a debit card, they can be used at WFP food shops to buy fresh produce, meat and oil. E-cards also help stimulate the local economy by supporting nearby producers. Blockchain technology helps WFP collect names, fingerprints and photos when registering refugees. The SCOPE process reduces loss and theft while allowing the humanitarian agency to better monitor and evaluate food distributions. High energy biscuits are easy to distribute and improve nutrition among families without access to water or cooking supplies. They are fortified with 15 essential vitamins and contain 450 calories, offering a quick meal in emergencies. 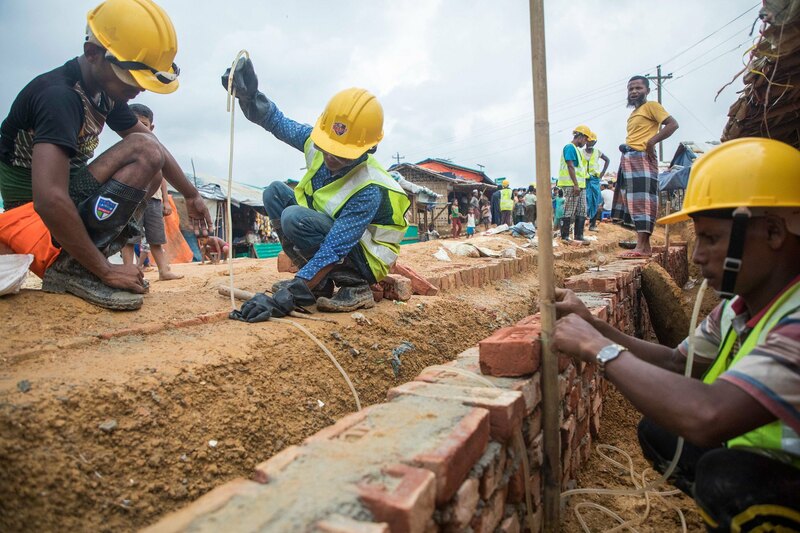 Unmanned aerial vehicles like drones help WFP map humanitarian needs across the makeshift refugee camps in Cox’s Bazar, even during cloudy weather. Their photos provide immediate, raw visuals and a data source for operational analysis. 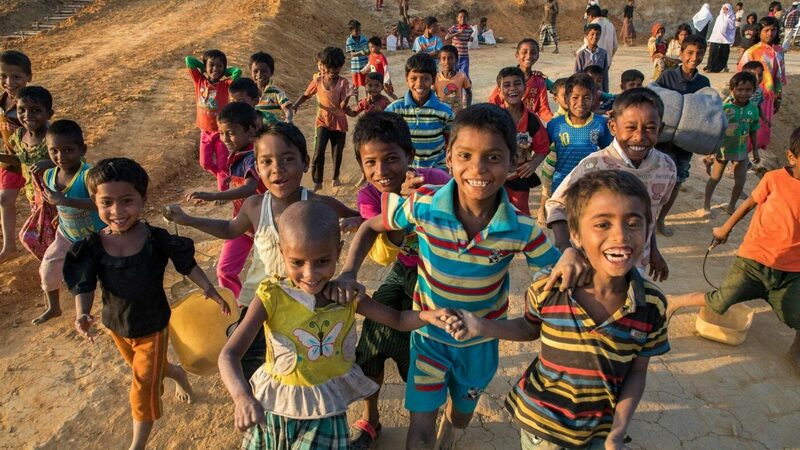 Because of these efforts, the World Food Programme feeds more than 860,000 people inside Cox’s Bazar each month. 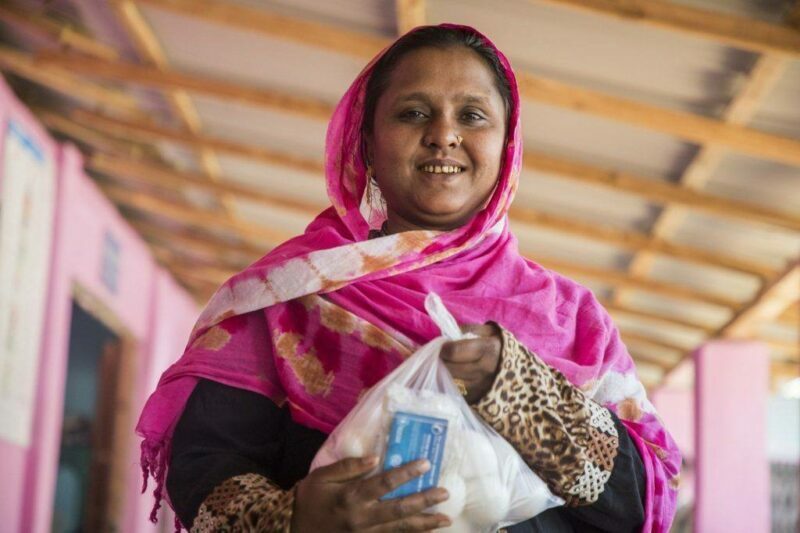 Fatema uses her e-card to feed her five children after escaping Myanmar without her husband. 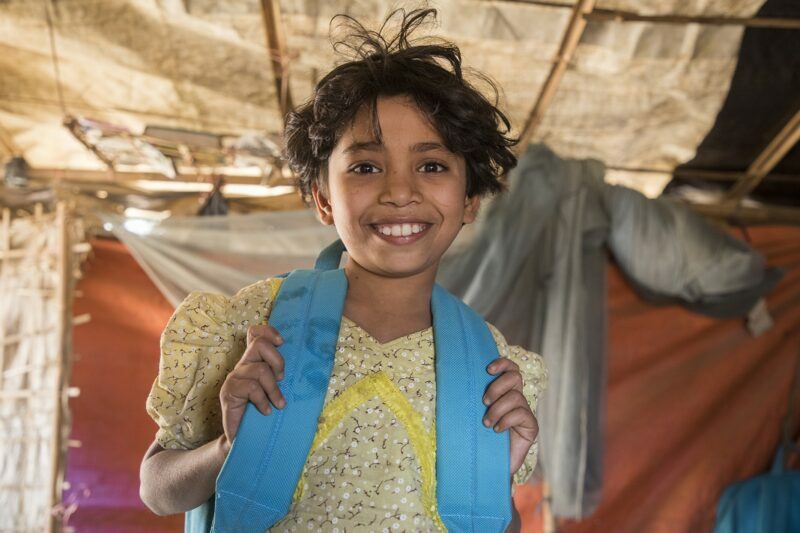 12-year-old Rubina can focus on her studies knowing she will receive a school meal tomorrow. High-energy biscuits give Abdul the nutrition he needs to stay healthy. Let’s build people’s knowledge, skills and resilience. 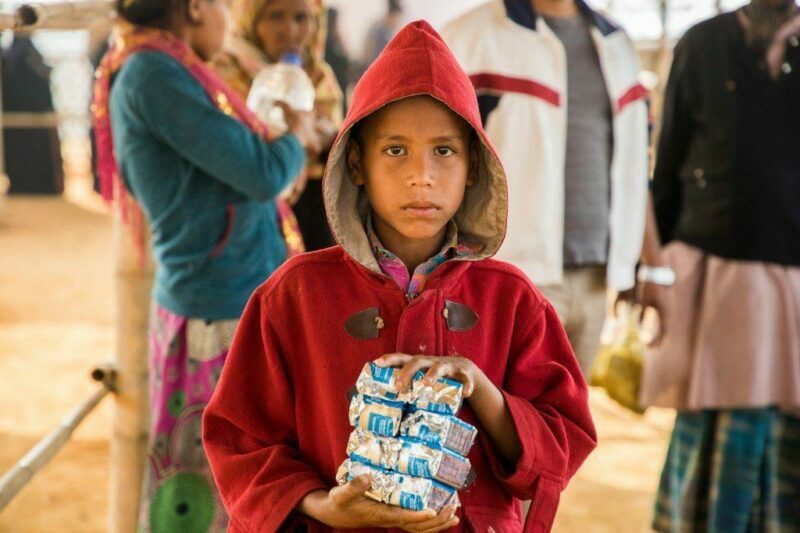 Let’s invest in economic opportunities and sustainable food systems so that all Rohingya families can get the nutrition they need to reach their full potential.